Record online: The U.S. Coast Guard has “suspended” a controversial proposal to build 10 Hudson River sites where dozens of ships, barges and tugboats could anchor, a decision being hailed as a victory by U.S. Rep. Sean Maloney and local officials alarmed by the idea. Admiral Steven Poulin, commander of the USCG’s first district, said the plan’s development is being halted so the branch can assess the safety of the river’s ports and waterways, including a two-day fall workshop with river users and other stakeholders. The announcement Wednesday marked a retreat from a plan to create 43 berths between Kingston and Yonkers that would allow vessels to anchor in the waters off of Marlboro, Milton, Port Ewen, the City of Newburgh and other municipalities, Maloney said. Along with Maloney and environmental groups, the plan faced a vigorous fight from officials and residents in those municipalities along the river. 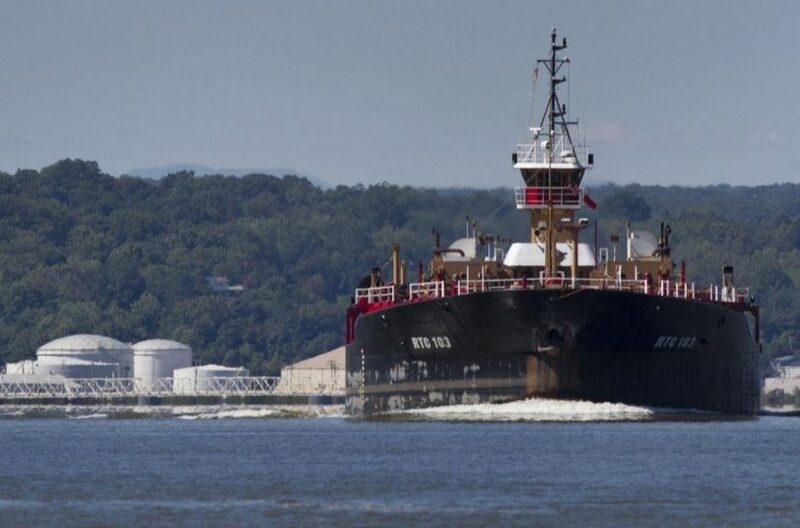 Associations representing the tugboat and barge industry, and vessel pilots working on the Hudson argued that berthing sites would give barges and tugs a place to anchor while waiting out bad weather and low tides. 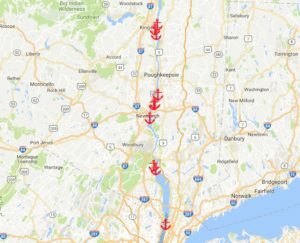 Some opponents of the anchorages feared an increase in barges carrying crude oil and the risk to a river regaining its health after being contaminated by industries that made their home along the Hudson. Others worried about heightened risks for recreational boaters and spoiled river views as vessels sat anchored. More than 10,000 individuals and groups, most of them opposed to the idea, submitted comments. “The main lesson learned by the feds is this: Those of us who live on and love the Hudson River will not let it come to harm,” said Paul Gallay, president for the environmental group Riverkeeper. Read more.